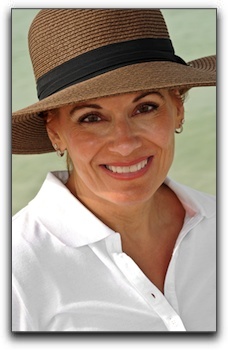 Hello, friends of Advanced Cosmetic & Laser Dentistry! 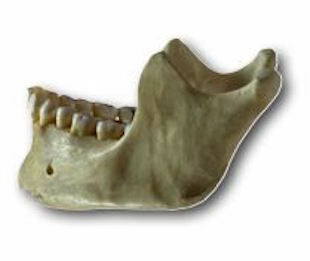 In today’s post, we will review jaw bone health. To remain healthy and dense, your jaw bone needs to be continuously stimulated by the pressure of chewing, biting, and talking. Each tooth has a root structure the extends into the surrounding bone material. 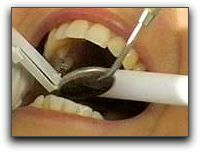 As each tooth absorbs the forces of everyday mouth function, it stimulates blood flow in the bone surrounding the root. In some cases, tooth extraction in Seattle is the only possible dental procedure for individuals with tooth damage beyond repair. However, we make every effort to preserve the root structure. When a tooth is extracted, the jaw bone that surrounded the previous root structure begins to recede. Fortunately, dental implants provide a new, artificial root which helps to keep the surrounding bone healthy and strong after an extraction in Seattle. A dental implant is a strong titanium post which replaces the natural root and eventually integrates into the surrounding bone. After the implant has been placed and the surrounding bone has healed and integrated with the implant, a post is inserted into the implant. The new artificial tooth, or crown, is then attached to the post. Implant restoration is a safe and effective treatment for tooth loss. For more specifics about dental implants following a tooth extraction in Seattle, call Dr. Brian McKay at 206-720-0600. The friendly and thorough team at Advanced Cosmetic & Laser Dentistry provides world-class dental treatment for patients in Seattle and the surrounding areas. We have been serving patients in the Seattle area since 1997. If you have questions about cosmetic and restorative dentistry, come to us. 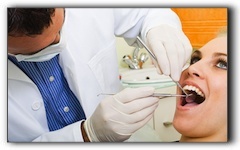 When is the last time you had a dental checkup in Seattle? Most men and women need a dental checkup in Seattle every six months. If you have a higher risk for oral diseases, we advise you to receive an examination every four months. At our practice, Advanced Cosmetic & Laser Dentistry, we are accepting new patients. If you do not currently have a dentist or are not comfortable with your provider, we invite you to learn about our practice and meet our team. We are confident that you will like what you find. Many patients entrust us with their dental health and we appreciate the relationships we have with them. Give us a call at 206-720-0600 to make an appointment. You can also visit our website for more information about our services. Most people are in a medium to low-risk category for dental problems. However, if you use tobacco or alcohol, eat a lot of sugar, have an eating disorder, have poor oral hygiene behaviors, or suffer from medical conditions that affect your mouth, you are likely in a higher risk category. It is important to your dental and physical health to have your teeth checked without delay. We assess many factors to determine the status of your oral health and the outlook for your future. We want you to have the healthiest teeth possible so that you can enjoy a beautiful smile for life. Don’t ignore the pain, because it will not go away. In fact, the problem may actually get worse, so it’s best to get it checked out before it becomes an issue. 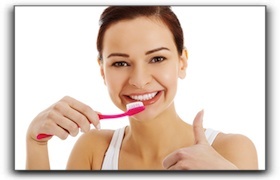 Call 206-720-0600 to schedule a dental checkup in Seattle. Along with general dentistry services, we also offer teeth whitening, dental veneers, and dental implants. If you’re nervous about treatment, ask us about sedation dentistry. We hope to hear from you soon. With the constant media coverage of celebrities, many Seattle dental patients are interested in having a smile just like their favorite stars. With an experienced dentist and the right smile makeover procedures, anyone can have a perfect smile in Seattle that they can show off. 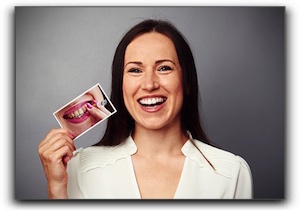 Many smile makeovers include teeth whitening. There are a variety of ways this can be done. Most Bellevue, Kirkland, and Redmond drugstores sell over-the-counter whitening strips and gels. Your Seattle dentist can recommend an effective one, or he or she may offer in-office bleaching. This is a quick way to see whiter teeth in less than an hour. For missing teeth, most Seattle cosmetic dentists will recommend a dental implant, because they are anchored into the jawbone. They also look and feel just like a natural tooth. A dental implant prevents jawbone recession and the shifting of adjacent teeth. Veneers are especially popular for patients who desire a perfect smile in Seattle. They cover the front of the teeth and are custom-made for each individual patient. These are useful for Seattle patients who have broken or chipped teeth, stained teeth, or gaps between teeth that they would like to hide. Enamel shaping, bonding, braces, and gum contouring are other successful treatments that can be used to help your teeth look their best. At Advanced Cosmetic & Laser Dentistry, you’ll find a trusted and experienced staff willing to help you get the care you need. If you are looking for quality dental care in the Bellevue, Kirkland, or Redmond area, we hope you’ll give us a call at 206-720-0600 to schedule a consultation. We offer a variety of services such as cosmetic dentistry, sedation dentistry, dental implants, and teeth whitening. Too-small teeth. Misshapen teeth. Cracked teeth. Chipped teeth. Spacing irregularities. These problems are all-too-common, but you don’t have to live with them! With advanced cosmetic dentistry in Seattle, there are fixes for these vexing tooth issues! 1. Veneers. Dental veneers are extremely thin shells are custom-made so the size, shape, and color are perfectly matched to your surrounding teeth. The veneers are securely cemented to the front of the teeth to dramatically improve your smile. 3. Recontouring. Minimally-invasive reshaping of a tooth by removing miniature bits of enamel to improve the shape or length. This cosmetic dentistry procedure is sometimes called odontoplasty or slenderizing. 4. Crowns. Most people are familiar with this durable multi-purpose restoration. Natural-looking dental crowns are fabricated in the shape and color of the tooth and cemented into place to fully cover the part of the tooth visible above the gum line. 5. Braces. Patients of all ages are transforming their smiles with revolutionary orthodontia. Before you dismiss this option as too time-consuming or costly, learn about the new braces now available. Braces are more convenient and discreet than ever before. 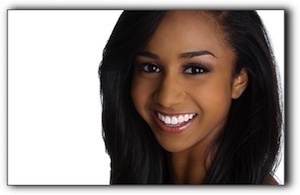 Countless dental patients have achieved sensational smiles with cosmetic dentistry in Seattle. For more information about our treatments, visit Advanced Cosmetic & Laser Dentistry! We are enthusiastic about helping our patients achieve optimum oral health and beautiful smiles. If you have any questions about cosmetic dentistry in Seattle, we invite you call us at 206-720-0600 to make an appointment today. 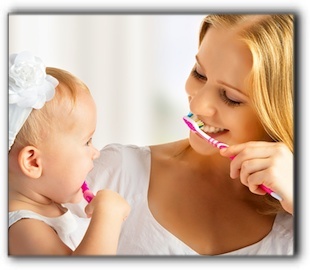 In today’s post, we will concentrate on important behaviors that influence oral health in Seattle. Of course, effective brushing and flossing are two essential habits for healthy teeth, but there are many more things we can do to keep a healthy smile. Don’t eat sugary foods. Sugar triggers the production of dangerous cavity-causing acids that weaken enamel and lead to tooth decay. Don’t snack throughout the day. This speeds up plaque production and subjects the teeth to continual contact with acids. Don’t chew on ice. It really can chip teeth. Don’t use your teeth as tools. It makes more sense to cut that knotted shoelace than to gnaw at it to try to untangle it. If you have children, speak with dentist McKay about water fluoridation. If your municipal water supply is not fluoridated, you may want to give your kids fluoride supplements to improve their oral health in Seattle. 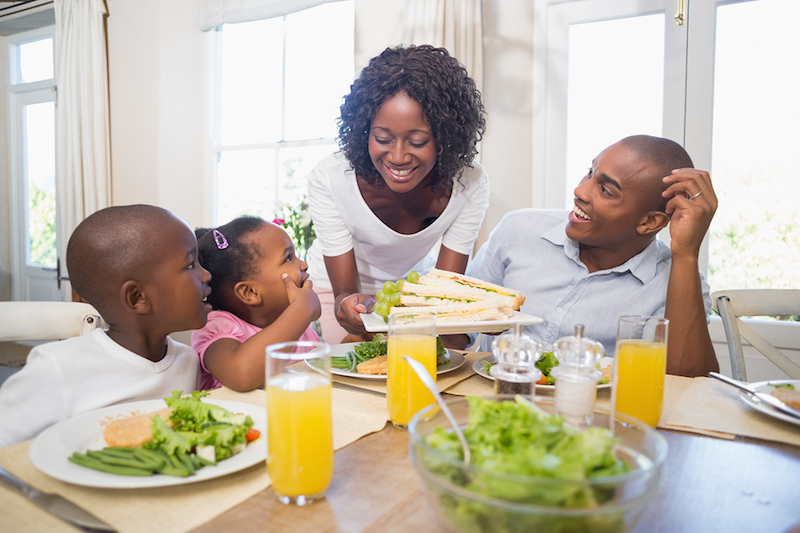 If you have an eating disorder – seek professional help right away. Bulimia and anorexia are extremely damaging to teeth. We urge all of our patients to maintain a lifestyle that encourages oral health in Seattle as well as overall physical health. At Advanced Cosmetic & Laser Dentistry, we serve the Seattle area with exceptional dental care including general and cosmetic dentistry. Ask us about sedation dentistry, dental implants, and teeth whitening. Welcome to our blog! Today’s post answers some common questions about toothpaste and how it’s connected to dental health in Seattle. The abrasive nature of toothpaste is to aid in removing dental plaque and food from the surface of the teeth. Rough brushing becomes unnecessary for dental patients when the abrasives in the toothpaste can snag the mouth’s lingering bits of food and polish the enamel at the same time. Minty flavors are used to encourage continued use of the paste and to freshen breath. However, dynamic toothpaste alone is not designed to cure bad breath for men and women affected. While unflavored toothpaste exists, the world has also seen such flavors as peanut butter, iced tea, and ginger. To treat halitosis it is best to prevent periodontal disease and to also brush bacteria from far back on the tongue. Removing the source is important and more effective than covering it up with minty flavorings. Fluoride occurs in small amounts in plants, animals, and some natural water sources. It is championed by health-conscious men and women for preventing cavities, controlling gingivitis, and improving dental health in Seattle. Fluoride-containing compounds are added to many kinds of toothpaste to add another essential dimension to the oral hygiene regimen for preventing decay. Flossing regularly works in conjunction with tooth brushing to prevent bacterial growth, tooth decay, and plaque build-up. It does this by simply removing chunks of food or substances that could break down the tooth, improving overall dental health in Seattle. The use of mouthwash cannot replace regular brushing and flossing. Mouthwash or fluoride rinse simply adds yet another powerful layer of defense against bacterial growth in the mouth. If you need information about dental implants, restorations, veneers, or porcelain crowns, call us today. If you are fortunate to have dental insurance but do not have a regular dentist, it’s time to settle upon a dentist in Seattle. And if you haven’t got insurance but have dental needs, perhaps it is time to consider who can meet those needs affordably. Brian McKay, DDS performs incredible work for patients who visit us from around the Seattle area. Clearly, Dr. McKay’s friendly and professional care combined with continuing education and experience will bring fitness and compassion to your dental chair experience. Education is what you should be looking for. Schedule a consultation to learn for yourself at 206-720-0600. Our team of dental professionals have been providing valuable services since 1997. Some of our services include dental implants, Invisalign, cosmetic dentistry, teeth whitening, and sedation dentistry. Patients will note the ease and skill Dr. McKay exhibits after performing these procedures successfully many times. Experience takes out the guesswork. It is not in our best interest to scare patients away with overpriced procedures and debilitating payment plans. We are here to serve our friends and neighbors with reasonably priced services. If you are in the market for affordable dental care, then call our dental office for prices. Quality dental care is an investment in your health and its value cannot be overestimated. At Advanced Cosmetic & Laser Dentistry, it is our desire to charge responsible fees made affordable for our community. Give us a chance to prove our value. Our patients understand that we provide them with a safe and comfortable environment without any judgment to their health. Come see what everyone is talking about. We look forward to hearing from you!